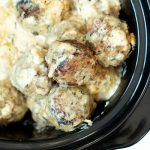 My Whole30 slow cooker freezer meal plan and freezer meal prep session have been some of my most popular blog posts this year, so I’m committed to sharing more Whole30-Compliant recipes on my blog. I don’t personally follow the diet, but my parents do, and I’m always game for coming up with new healthy and yummy recipes. Not familiar with the Whole30 diet? 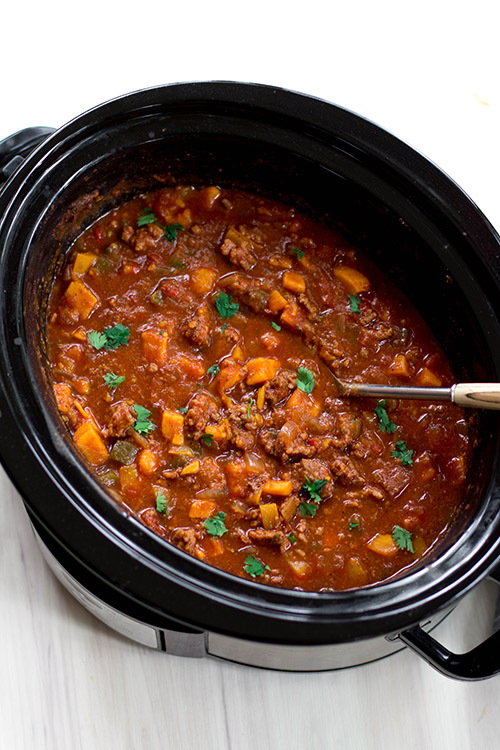 You can either (1) google it or (2) forget about it and make this chili recipe anyway. You won’t regret it. 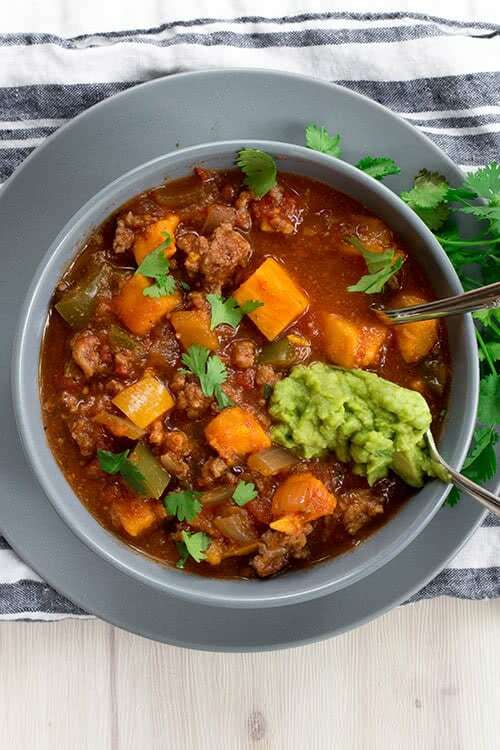 This Whole30-compliant chili recipe is insane – in the best possible way. It’s so full of flavor that you don’t even miss the beans. To keep it super hearty, I added sweet potatoes in their place. I also included diced bell peppers and tons of basic seasonings. You’re going to love this recipe, Friends. I made this Whole30 chili recipe for my parents last week and we all decided that it was a winner. 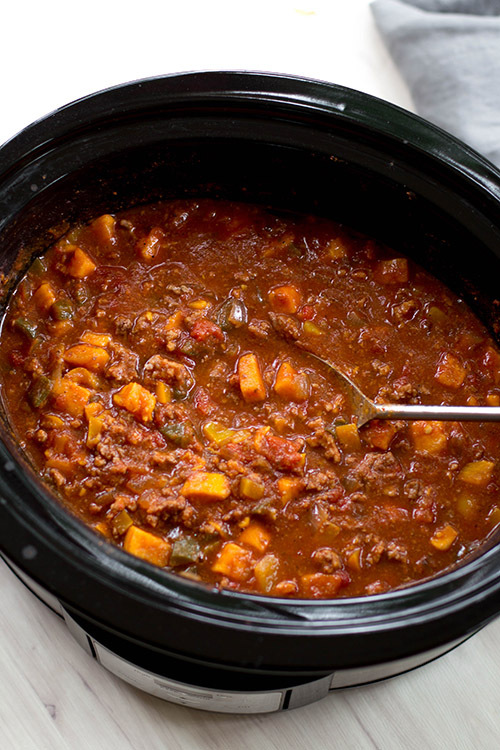 It’s a healthy chili recipe with tons of flavor and it’s so easy to make. 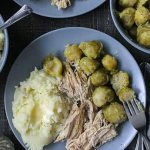 All you have to do is combine all of the ingredients in the crockpot and turn it on. You can even prep the meal ahead of time and freeze everything in a gallon-sized plastic freezer bag for up to three months. That way you’ll have a Whole30 dinner ready at a moment’s notice. I’m including both cooking options below. Let me know if you have any questions. Break apart beef and stir. Label a gallon-sized plastic freezer bag with the name of the recipe, cooking instructions, and use-by date (which should be 3 months from when you prepped the meal. Remove as much air as possible and freeze for up to three months. When ready to eat, thaw enough to break apart and cook according to directions above. Serve with fresh chopped cilantro and guacamole, and dinner is done. You can even offer some shredded cheddar cheese and tortilla chips to your kids or family members not following the Whole30 diet. Enjoy! Looks delicious! 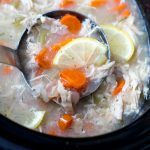 Do you have nutrition information for this recipe? Or could you say how many servings it makes? I basically halved it, except used one whole pound of ground beef. Half made 3 adult servings so I would say as is would make 6 servings. It looks Paleo acceptable as well. Is the can of tomatoes really supposed to be 5 oz. or is it a 15 oz can? I’ve never seen a 5 oz can of tomatoes. Yes, whoops! Changing that now. Do you cook the beef before adding all ingredients in ziplock to freeze? Nope! You can add it raw. Do you need to cook before freezing? 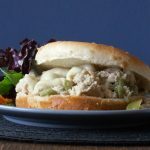 We are doing the Whole30 and loved this! Super tasty. Only change was I browned the onions and ground beef before I put it in the crockpot with everything. Thanks for posting it, we had a great meal.